Welcome to Elevation 6, Route 1, My Home! Chopping wood always gives me good ideas. I think when the wood breaks apart, air escapes, to become endorphins, containing elevated stories and poems. I studied writing on the streets of New York, spent time in Big Sur, where I studied dance forms, performance art, and breathing exercises, as a one nostril breather. The breath exercises that I learned then, have now become incorporated into the rhythm of my language. I am an imagist. I deal in imagery, words are only stepping stones to use until we arrive at the point. It is imagery that delivers the three-demsionality meaning. As a poet you are given this tricky voice to sing in, but it is contained in any kind of body. Juno, mistress of the night, sang a high, howling note a screech that could sweep steelworkers off the side of buildings. A poet is just someone trying to master a tricky voice. Do not let slovenly industries of corporations steal your words, mix up their meanings, make nouns into verbs. They try to corral language for their own use. But wild words will escape, run away out onto the prairies, kick up their heels, wild-word horses, waiting for someone who can read between the lines, ready to ride after with a liaret. To basically understand what I am doing, I am singing my song. I let the natural rhythm of each word dictate". Hi -diddly- dee an actors’ life for me". The donkey eared boys from Pinocchio. What a perfect set of words to accompany boys with donkey ears. I would like to invite you to an exclusive look at my creative process. I use the power of joy and awe to elevate my work into 3 dimensionalities, primarily using imagery. I taught poetry in the California Poets in the Schools program (C.P.I.T.S.) for many years. I also was awarded a Canada Council grant. I am the proprietor of the Avenue of Madness School of Writing." In qua est. ipsum esse negit." My latest project is the investigation of Invisibility, using the armature of memories, shadows and dreams. I have finished an 80-page prose poem called the Continent of Ghosts (Wild Ocean Press) where I studied Death as a matter of memory exercise. I wrote poems taken from the blood memory of my ancestors. I channeled them up and wrote down what I found. As the cost of doing business electronically is going up where my ability to pay is shrinking, I am forced to open myself up to a subscription deal, where I will respond by sending out frame able broadsides, spoken word CDs and Patreon only digital feeds of me reading from my work. Join me on the cutting edge of the written word, if you are curious, go to my web site Bill Bradd.Com. When you live out on the edge, your life goes in cycles and at this particular moment, it's time to look for subscribers for what I do, patrons, if you will. It's time now to move into reality. I would like to bring internet services into my cabin and, with the help of my web designer, expand my web footprint. Across the board. 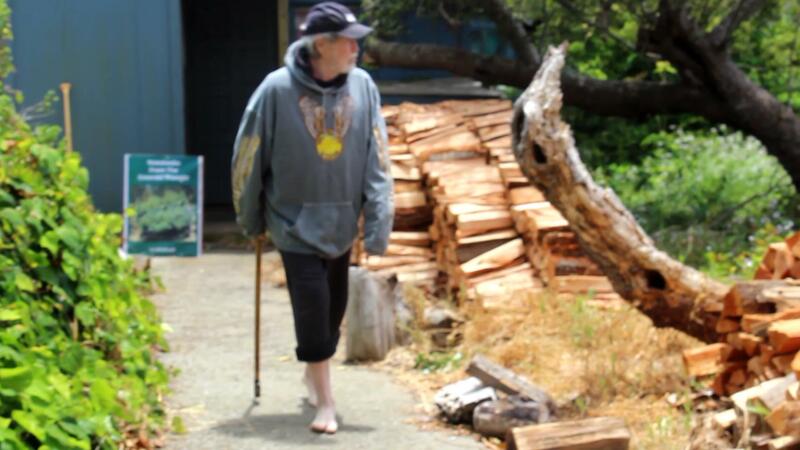 Once a month you will receive a 15 -20 minute audio CD of Bill reading from his "Notebooks from the Emerald Triangle".